214. 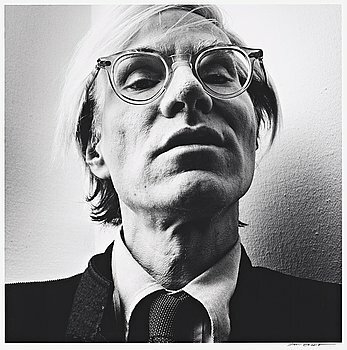 Hans Gedda, "Andy Warhol", 1976. 215. Maria Friberg, "Still lives #3 edition", 2004. 216. 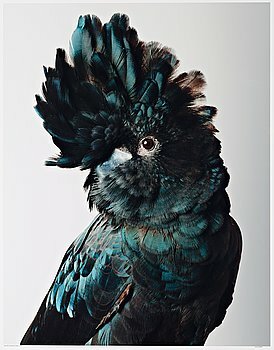 Leila Jeffreys, "Pete Red-Tailed Black Cockatoo", 2012. 217. Mikael Jansson, "Amber Valetta, New York Studio, 2000". 218. 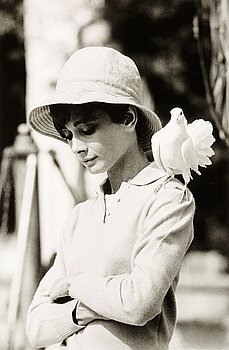 Terry O'Neill, "Audrey Hepburn with dove, St Tropez, 1967". 219. Horst P. Horst, "Around the clock I, NY, 1987". 220. 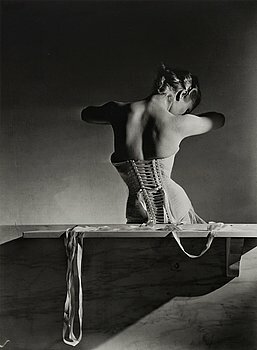 Horst P. Horst, "Mainbocher Corset, Paris, 1939". 221. 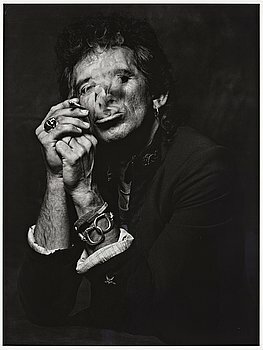 Albert Watson, "Keith Richards, New York City, 1998". 222. 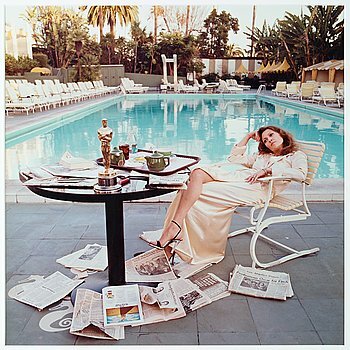 Terry O'Neill, "Faye Dunaway, Hollywood, 1977". 223. Jacob Felländer, Ur sviten "Big Sur", 2006. 224. Nick Brandt, "Elephants Resting, Amboseli, 2007". 225. Pennie Smith, "Joe Strummer", 1980. 226. Saul Leiter, "Snow", 1960. 227. Leee Black Childers, "Johnny Rotten", 1976. 228. David LaChapelle, "Negative Currency: Hundred Dollar Bill Used As Negative", 1990 - 2008. 229. Anton Corbijn, "22:U2", 1982-2003. 230. Dawid (Björn Dawidsson), "Comme des Garcons", 2004. 231. Albert Watson, "15 North, Exit 25, Las Vegas, 2001". 232. Blaise Reutersward, "PD1504", 2015. 233. Nick Brandt, "Cheetah Standing on Rock, Serengeti, 2007". 234. Vik Muniz, "The Scream, after Edvard Munch from Pictures of Pigment", 2006. 235. Herb Ritts, "Andie McDowell in Hawaii", 1984. 236. Albert Watson, "Naomi Campbell, Marrakech, 1998". 237. Helene Schmitz, "The Doorway", 1994. 238. 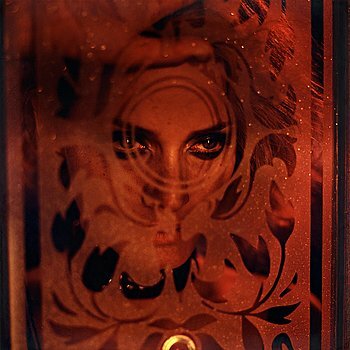 Helena Blomqvist, ”Insomniac”, 2013. 239. Maria Friberg, "Belonging II", 2010. 240. Tuija Lindström, "Do you love me", 1987. 241. Tuija Lindström, "Torso", 1983. 242. Tuija Lindström, Utan titel. 243. Tuija Lindström, "Mirja", 1982. 244. Tuija Lindström, "Strykjärn", 1992, ur serien "Kvinnorna vid Tjursjön". 245. Tuija Lindström, Utan titel, troligen 1980-tal. 246. Tuija Lindström, Ur serien "12 Fractals of One Plant", 2004. 247. Maria Friberg, "Almost there #2", 2000. 248. ANN-SOFI SIDÉN, C-print signerad och numrerad 3/7 a tergo. 249. Elina Brotherus, "Safety Man IV, 1998". 250. Elina Brotherus, "False Memories II, 1999". 251. Elina Brotherus, "False Memories I, 1999". 252. Annika von Hausswolff, "The Memory of Water", 2005. 253. Helena Blomqvist, ”Swamp Boy”, 2013. 254. Dawid (Björn Dawidsson), "FSCC #80", 2007. 255. Anton Corbijn, "Neil Young", 1990. 256. Marilyn Minter, "Two Green Flares", 2007. 257. David LaChapelle, "Negative Currency, 1 Yuan used as Negative", 2010. 258. Blaise Reutersward, "CTCS307", 2015. 259. Jacob Felländer, "Black Rock", 2006. 260. Mikael Jansson, "Mini Andén, Stockholm Studio, 1996". 261. Zhang Dali, "Dialogue and Demolition", 1999. 262. Zhang Dali, "Slogan - Advance in Cultural and Social development", 2013. 263. 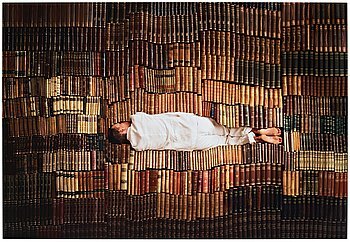 Maria Friberg, "Embedded", 2006. 264. Annika von Hausswolff, "De bästa historierna är de som inte berättas", 1999. 265. Uta Barth, "Untitled Fields #14", 1996. 266. Herb Ritts, "Herb Ritts for Levi's", 1987. 267. Dawid (Björn Dawidsson), Utan titel, ca 1989. 268. Elliott Erwitt, "Paris, France, 1989". 269. Irving Penn, "Man with Pink Face, New Guinea, 1970". 270. Denise Grünstein, "12 oktober", 2010. 271. Martin Bogren, "Lowlands #7", 2008-2010. 272. Hans Gedda, "Ingmar Bergman", 1973. 273. Jean Hermanson, "Dublin", 1967. 274. Jean Hermanson, "Dublin", 1967. 275. Jean Hermanson, "Renseriarbetare, Surahammars Bruk", ca 1970. 276. Jean Hermanson, "Järnbruksarbetare med skyddsdräkt av asbest, Björneborgs Järnverk", 1970. 277. JEAN HERMANSON, Gelatinsilverfotografi signerad och stämplad a tergo. 278. Jean Hermanson, "Tappning av järn, Åminne Bruk", 1970. 279. JEAN HERMANSON, gelatinsilverfotografi signerad a tergo. 280. JEAN HERMANSON, gelatinsilverfotografi stämplad a tergo. 281. Jean Hermanson, "Stämpelklocka, Motala Verkstad", 1969. 282. Jean Hermanson, "Pump-Separator, Katrineholm", 1970. 283. Jean Hermanson, "Gjutare, Söderköpings gjuteri", ca 1970. 284. Jean Hermanson, "Gjuteriet, Norrbottens Järnverk", 1969-70. 285. Ann Eringstam, ”In search of wonderland 5”, 2011. 286. Jorma Puranen, "Shadows, reflexions and all that sort of things #27", 2003. 287. Niko Luoma, "Paintings collapse into Objecthood 1", 2001. 288. Niko Luoma, "Paintings collapse into Objecthood 2", 2001. 289. Heli Rekula, "Desiré", 1996. 290. Dawid (Björn Dawidsson), Ur serien Berlinbondage. 291. David Burdeny, "Burning Sky, Japan", 2006. 292. David Burdeny, "Left Pallets, Astoria", 2005. 293. David Burdeny, "Rails, Japan", 2006. 294. Elliott Erwitt, "Santa Monica, California, 1955". 295. Terry O'Neill, "Frank Sinatra, Miami Beach, 1968". 296. Nick Brandt, "Lioness with cubs under tree, Serengeti, 2004". 297. Richard Learoyd, "A Black Lily Made for Noel 16 February 03". 298. Hans Gedda, "Nelson Mandela", 1990. 299. Alfred Eisenstaedt, "Hugo Gernsback", 1960-tal. 300. Wolfgang Tillmans, "Wald" ("Briol III"), 2008. 301. GERRY JOHANSSON, fotografi signerad och numrerad 3/5 a tergo. 302. Gunnar Smoliansky, Utan titel, 1957. 303. Brassaï, "Présentations chez Suzy", 1932. 304. Henri Cartier-Bresson, "Andrew Wyeth", 1962. 305. Gisèle Freund, "Colette, 1939". 306. Antanas Sutkus, "J.P Sartre and Simone de Beauvoir in Lithuania, Nida, 1965". 307. Anna Riwkin-Brick, "Groupe surréaliste, Paris", 1933. 308. David Octavius Hill & Robert S. Adamson, "The Misses Grierson", 1843-1847. 309. Hans Gedda, "Hasse & Tage", 1980. 310. Nina Korhonen, Ur serien "Minne. Muisto. Memory", 1997. 311. Hans Gedda, "Cornelis Vreeswijk", 1984. 312. Leif-Erik Nygårds, "Marilyn Monroe photographed in Los Angeles at Bel Air Hotel, June 27th 1962". 313. Gisèle Freund, "Henri Matisse, Paris, 1948".